As a component of a preemptive safeguarding bundle, Management Systems International precisely analyses and proposes modifications to an organization’s Quality or Environmental Manual for ISO 9001, ISO 14001 or AS 9100. This assistance can be acquired independently or as part of a SurePath® or SureResults® suite. 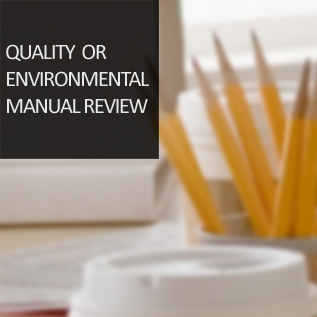 MSI’s knowledge in the business along with applying Quality or Environmental principles in a diverse range companies has established a “Desk Audit” Method of inspecting for non-conformities to whichever ISO 9001, ISO 14001 or AS 9100 standard. MSI’s professionals will appraise your Quality or Environmental Manual to certify that all ISO 9001, ISO 14001 or AS 9100 stipulations have been addressed, an effective structure to meeting all prerequisites has been created, and a common arrangement of the QMS or EMS is realized. Internationally distinguished management and quality in international standards.